I began my ascent into the world of photography in 1983, when I was 14 years old and purchased my first Canon SLR. I've always seen the world through a lens and was ambitious to share my vision with others. As early as high school, I took all of the available courses in photography and was rarely seen without my camera in hand. I was the yearbook photographer and shot at all of the sporting events for the high school newspaper. I spent several hours a day in a darkroom for four years. A long time has passed since those days of film and dark rooms. I took a break from photography for about a decade, then about ten years ago my brother took a picture of my cat with a digital Canon Rebel. I could not believe how far along digital technology had progressed. That was all it took for my journey back into the world of photography to get kicked back into action. I had an unfair advantage… subject matter! 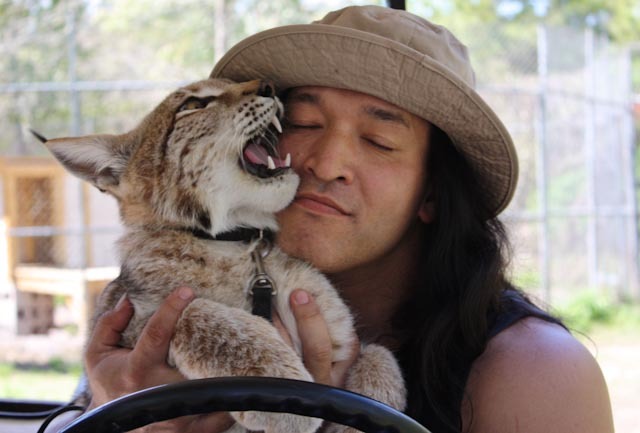 By this time, I started volunteering at a private sanctuary for exotic animals including wolves, tigers and lions. I have always had a love for wildlife and now, I was in a perfect position to meld both of my loves, wildlife and photography. I shot thousands of pictures my first year back and spent embarrassing amounts of money on equipment and software. I also opened a portrait studio within my first year of picking the camera back up. It's difficult to explain in words how much I love photography. The challenges, the versatility, even the long nights spent post editing. This has become a life-long obsession.